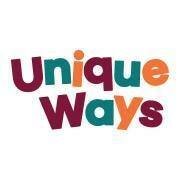 Unique Ways is hosting a FREE course on Parenting for Healthy Emotional Wellbeing on Saturday, 19 January 2019, 10:00am-3:00pm at their offices in Hanson Lane Enterprise Centre, Halifax HX1 5PG. Our Parenting for Health and Emotional Wellbeing (PHEW) course is for parents and carers of 11 to 18-year-olds with additional needs. The aim of the course is to share tools, ideas and insight that will help you to recognise and improve the mental health and wellbeing of your young person. It is then up to you how to best use this information to support your young person, and if you believe that your young person needs further professional support then we’ll be able to point you in the right direction. This entry was posted in Health, Jan, Young People and tagged Unique Ways.